Whether is a base for a short drive into London or somewhere to relax in the spa and not move a muscle all day, a relaxing spa break in Surry is sure to have you covered. The Richmond Gate Hotel and spa is our closest to London, only a very short drive will bring you straight to London’s West End. 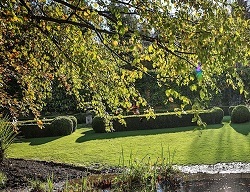 Meanwhile set in 47 acres of grounds and adjoining to another 700 acres of National Trust countryside the Grayshott Manor is guaranteed to give you the relaxing atmosphere that you deserve after a busy week at work. This luxury venue is also quite a hit with celebrities that live around the area. Make sure to keep an eye out. Some of the south east’s best attractions are located within Surrey, within this beautiful county are historic towns such as Guildford and Farnham, both offering visitors a treat for the eyes with original buildings and landmarks making such towns a real hit with visitors to the area. Fancy something to keep the children and adults alike busy? Take a trip to Go Ape, located in Farnham this attraction offers everything to get your heart racing, from zip lines and rope swings to bridges suspended high in the trees. If your fancy stretching your legs whilst on a spa package in Surrey then the abundance of silent country lanes, bridleways and footpaths will give you the perfect excuse to take your walking boots with you on your spa break. It’s a great way to explore the county as the lanes and paths are networked together across the smaller and larger towns. Whilst out and about take a break at one of the many traditional pub and inns that you are sure to come across whilst you explore.